Far too many people across the state of Florida suffer nursing home abuse and neglect. These unthinkable acts can have devastating long-term effects on the victims’ physical and emotional health. Abuse in these cases is defined as physical, emotional or psychological mistreatment, while neglect refers to the failure to provide proper care, whether physical or psychological. Both abuse and neglect are in violation of nursing home residents’ basic rights under Florida law. If you believe your loved one is suffering from nursing home abuse and neglect, the first step to take is removing the patient from the facility to prevent further damage from being done. The next step is to begin the process of taking legal action against the nursing home. The right to be free of physical, mental, emotional or financial abuse. The right to necessary services to maintain health and well-being. The right to maintain private communication, including uncensored personal mail and unmonitored phone calls. The right to present grievances without fear of repercussions. If these rights have been violated, the resident can seek compensation through a nursing home abuse lawsuit. 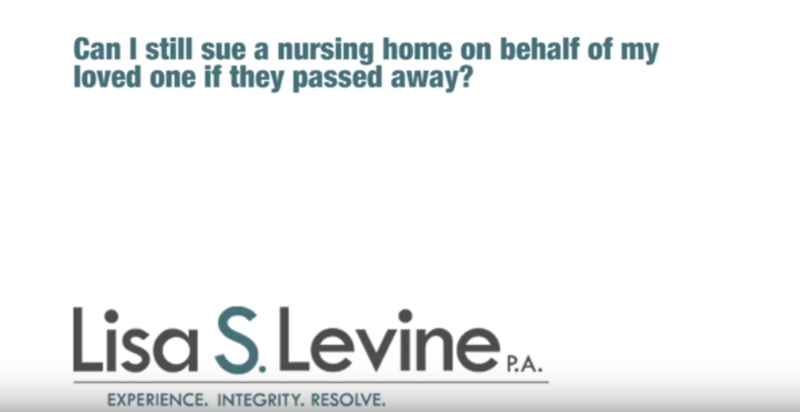 If the abuse or neglect caused the death of a nursing home patient, the resident’s family can pursue a wrongful death claim. Surviving family members may be entitled to compensation for the deceased’s outstanding medical bills, funeral expenses and more. The compensation that can be recovered through nursing home abuse lawsuits in Florida depend on the circumstances of the case and the type and extent of injuries and damages suffered by the resident. In many cases, the negligent party will offer a quick settlement to the abuse victim in an attempt to end the case as quickly and cheaply as possible. It’s important to review your case with an attorney before accepting any settlement offer. 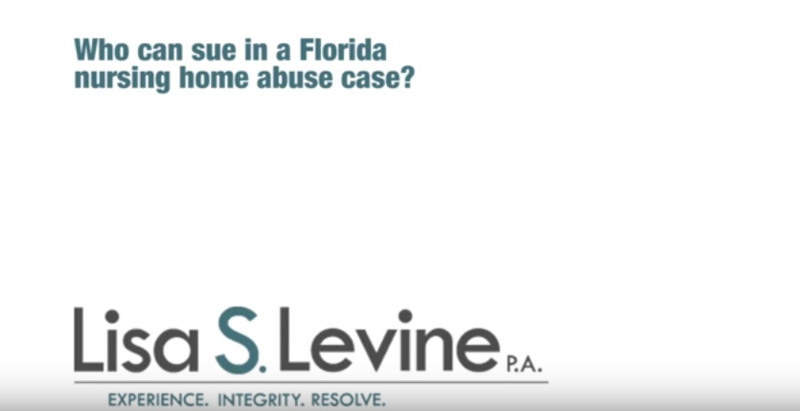 An experienced Fort Lauderdale nursing home abuse attorney can offer the necessary information and resources to determine whether it is a fair settlement offer for damages. 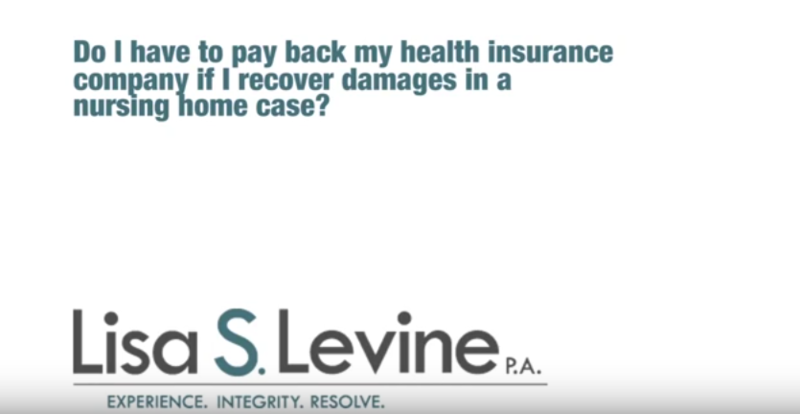 If Damages Are Recovered, Do I Have To Reimburse My Health Insurance Company? If your insurance company covered medical bills related to the abuse, then yes the company has the right to be reimbursed from the money recovered in a lawsuit. However, the amount that must be reimbursed is negotiable, and the insurance carrier will take into account attorneys fees, court costs and other medical bills. Have you or a loved one suffered from negligent care in nursing home? 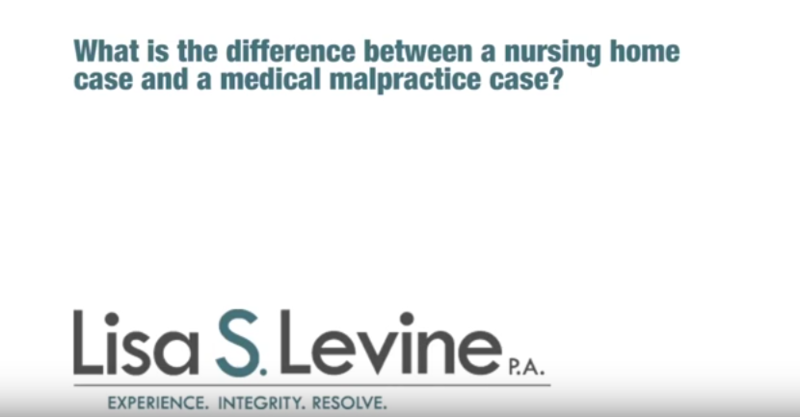 Contact medical malpractice lawyer Lisa S. Levine, P.A. today for assistance.